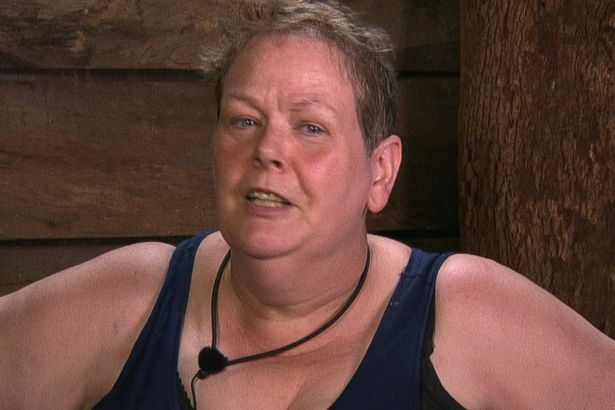 Anne Hegerty has only been in the jungle for a matter of days and has already proved to be a hit favourite as I’m A Celebrity fans have thrown their support behind The Chase star and even tipped her as favourite to win. From quitting her first BushTucker trial, to getting stuck in bed and being gifted Nick Knowles’ pillow, The Governess has experienced her fair few shares of ups and downs. She also opened up about her life before The Chase and her secret ‘husband’. We have all you need to know on her life and why she’s decided to join I’m A Celebrity 2018. Anne Hegerty is 60 years old and was born on July 14, making her a Cancerian. Her net worth has not been confirmed but lead “chaser” Mark Labbett in the American version of The Chase is now worth $2million or around £1.5million. Anne revealed she suffers from Asperger’s Syndrome – a form of autism that can make social interaction and communication difficult. She opened up on The Jeremy Vine Show earlier this year revealing she’d only been properly diagnosed in her 40s. She said: “People say to me, ‘I understand you suffer from Asperger’s’ or ‘you suffer from autism’, and I’m like, ‘no, I have Asperger’s, I suffer from idiots,” she joked. Anne has also spoken of her difficult childhood on I’m A Celebrity, telling the camera in her first week it had been hard growing up. However, according to her fellow quizzer Mark Labbett Anne has a “massive crush” on fellow camper and Doctor Who star John Barrowman . She told her campmates her Wikipedia page says she is married to a man named Jake Hester but Anne confessed she doesn’t know who he is . Anne has also battled issues with her sexuality and has been forced to turn down flirty messages on Twitter from fans wrongly assuming she’s a lesbian. She had a pretty rough time before she found fame on The Chase and was on the brink of becoming homeless. She was then a freelance proof reader, living in a council house and was struggling to keep on top of her accounts. She said: “I just simply couldn’t keep it going and the result was I wasn’t paying my bills, but I was trying not to go on benefits on the grounds that I just thought that was sort of giving up. I wasn’t giving up,” she told Stuff . She was then put on the Disability Living Allowance and with the help of a social worker Anne learned about the “high level quizzing circuit” and the rest is history. The Chase’s Mark Labbett revealed on Loose Women why Anne decided to head into the jungle. He said it was in fact him who persuaded her to take part and even said he felt guilty about voting for her to do the BushTucker trial which she quit . Anne’s family have revealed they’re concerned for her during her time in I’m A Celebrity. Her Uncle said: “I know she will find it difficult, but we are all rooting for her” he told the Mail Online . She lost her father Ken last year and has previously mentioned how his words drove her as she learned to cope with Asperger’s.